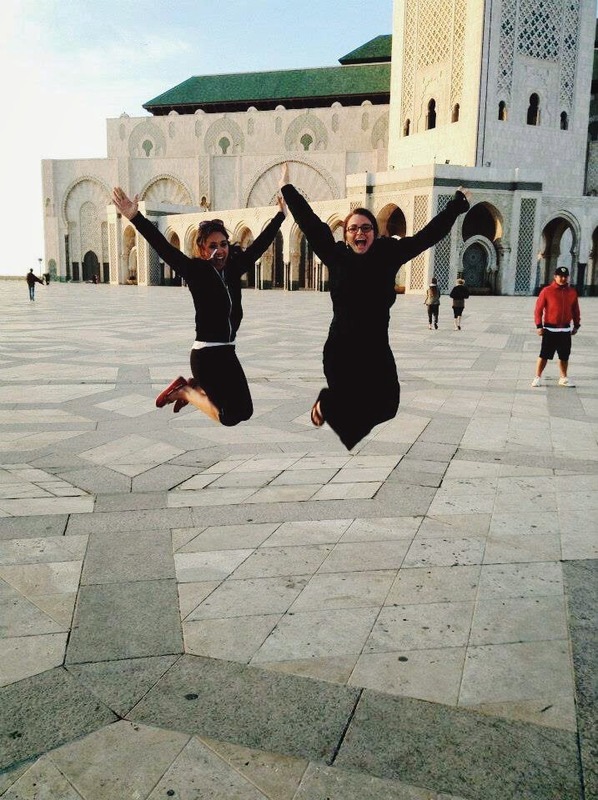 Happy to be in Casablanca! Hi everyone! It's nice to be back here after Spring Academic Travel. 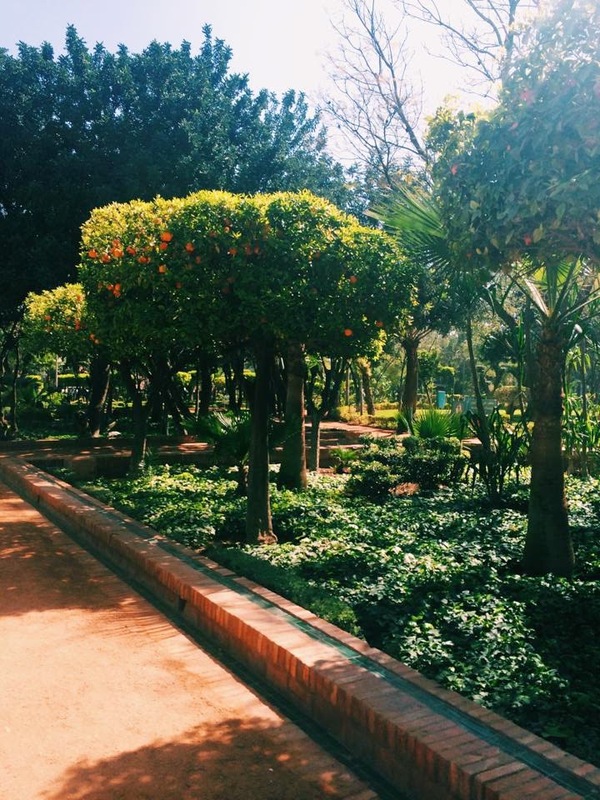 Morocco was SO cool, wow, what an adventure! It was very different from any other Academic Travels I've done, and although it couldn't surpass my first and most favorite travel, to London with Professor Peat; studying music and culture with Professor Saveau all over Morocco was definitely one for the books. 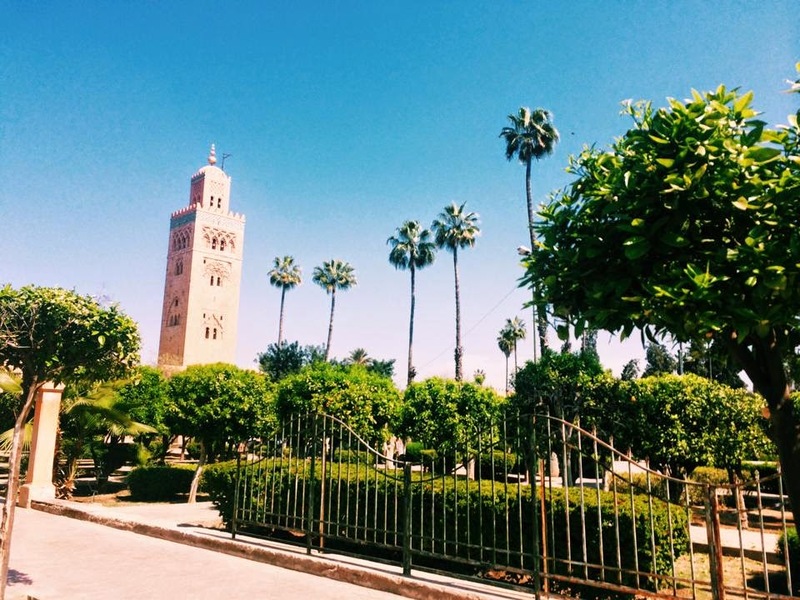 We visited so many beautiful places, including Marrakech, Fez, Meknes, Essaouira, and Casablanca. My favorite city was Essaouira on the coast. It had a very unique feel and a beautiful aesthetic, I had never even heard of the city pre-travel! It was nice to be able to go to the beach and eat the local fish, which was caught that day, right off the coast. Talk about fresh! 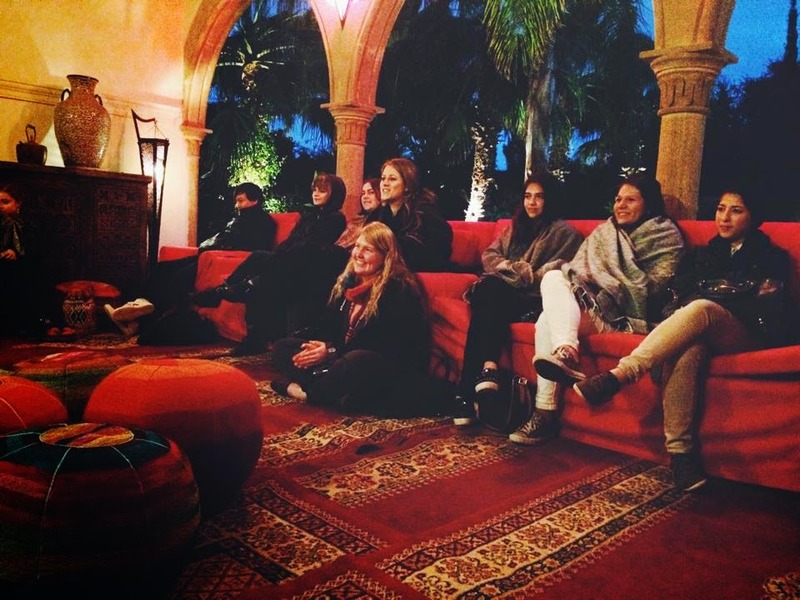 We went to Morocco to study music and were lucky enough to see many performances by all different groups of Moroccan musicians. I was very impressed by our Professor's ability to arrange musical performances that felt very private and intimate, instead of really touristy. Each performance embodied different groups, regions of the country, and aspects of the culture and Muslim religion. 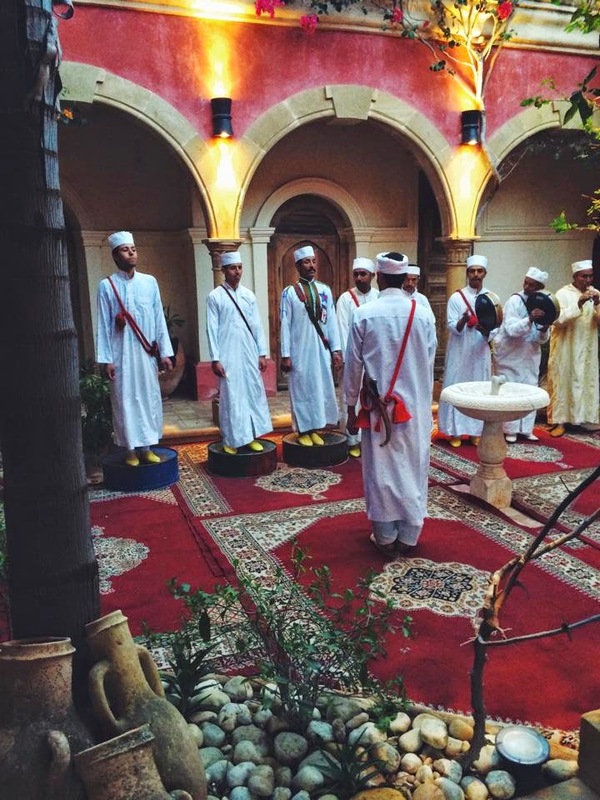 I loved to learn how music was used as an expression of all sorts of emotion for the Moroccan people, and to see songs and rituals that had been passed on from generation to generation. What I love about Academic Travel is that it tends to expose you to a side of a culture or group of people that might have been hard to be able to do otherwise. For example, when I studied the Weimar republic in Berlin last spring for Academic Travel, I was blown away by how much there was to learn about the Republic and more specifically its ties to Berlin, complete with museum tours, lectures, etc. 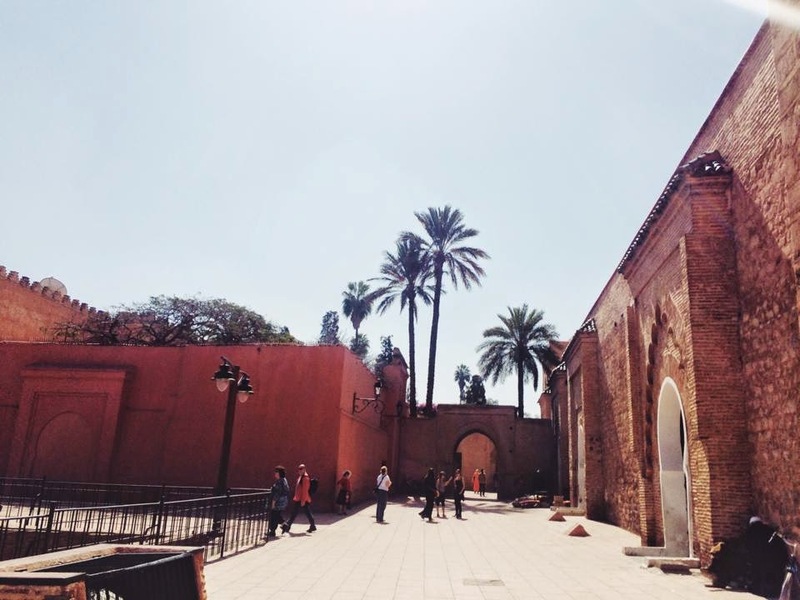 Similarly, I loved hearing the different musical representations of Moroccan culture, and attending lectures about religion and its influence on Morocco as well. There were 24 Franklin students total, as well as our amazing Professor, with many countries and cultures represented, of course. Venezuela, Kazakhstan, the U.S., Saudi Arabia, Colombia, Jordan, and Brazil, to name a few students' home countries. I still get surprised how even though we attend a small school, I end up making new friends and strengthening relationships while on travel. 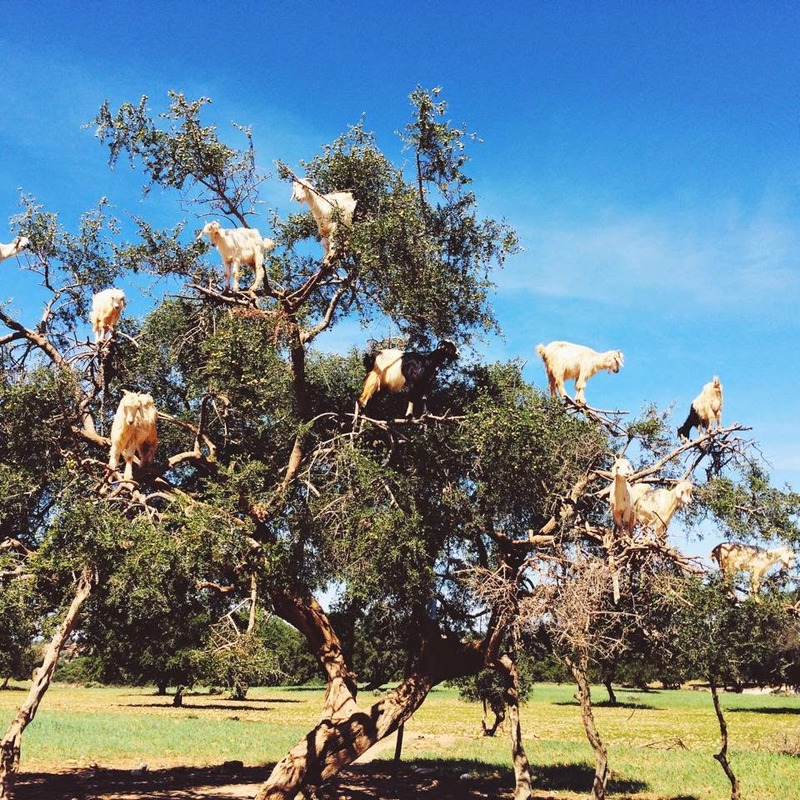 I already have some lifetime memories stored from this travel, including trying pigeon pie (pastille) for the first time (delicious), driving in the country and seeing goats hanging out in a tree, walking through the markets in Marrakech, and bonding with friends. 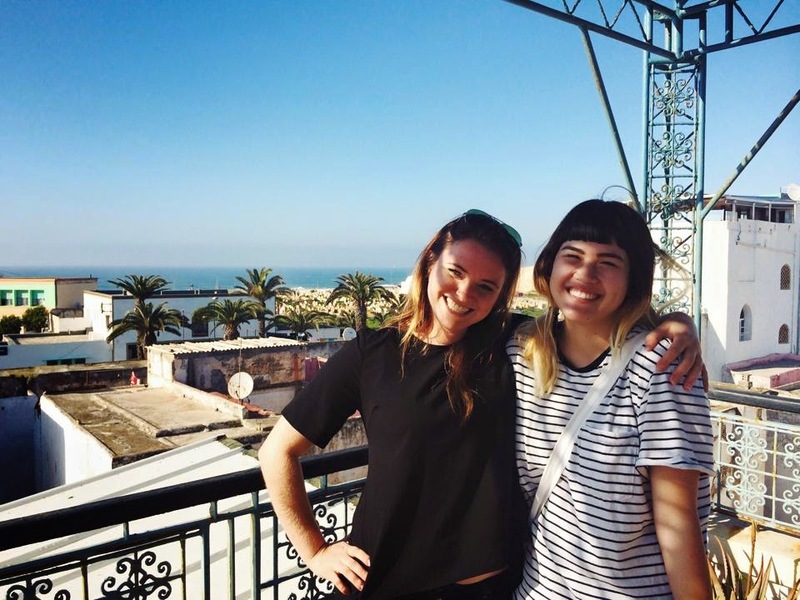 Enjoying Meknes with Kim, a senior from California majoring in Art History. My favorite performance was the last one we saw, in Essaouira. We went to a private estate and got to practice playing the traditional instruments and learning the dances of the locals. We all had so much fun, dancing, eating the delicious food prepared for us, and listening to the performance! I won't ever forget it. Fellow classmates enjoying the music. There are so many pictures and memories from this trip. I feel so lucky to be able to participate in such an experience that is so unique to Franklin, and am already considering where to go in the fall. (Iceland, Malawi, Turkey or Thailand... I'm all over the map, literally). If you'd like to see more, check out #ATFUS on Instagram or Facebook. It is admittedly nice to be back home here in Lugano, to catch up with friends, and do laundry :) April is absolutely jam-packed here at Franklin and I'm ready to dive into the madness, and fun, that is Spring on campus! The weather is looking warm and sunny for this weekend, and I'm excited to walk downtown with friends for lunch, read in the park, and hike San Salvatore. Speaking of April, I'm sure many of you who are reading this blog might be prospective students looking for a more student-based feel of life on campus! With that in mind, if you have any questions you'd like me to address for the next post, about anything at all related to Franklin, please leave them in the comments section on this post and I'll put them all together for a post for next week! ASK AWAY! I'll be back soon, and until then, keep smiling. Hey, I am new to Lugano, I have just moved here from England and would really appreciate any advise on meeting new people in a foreign country. I am 19 years old and a lot of the online community groups to meet people in Lugano seem to be for Mums. I am au pairing 20 hours a week so have a lot of free time in which it would be nice to have some company. Hi Cornelia, are you in Lugano studying at Franklin? If so there are many groups offered for Franklin students to meet and share in activities.